A Clicker is a great two-way communication tool between us and our dogs. It quickly teaches dogs how to learn and solve problems. The dog is always rewarded for desired behaviour and never punished for incorrect behaviour, which means dogs are more likely to choose to perform requested behaviours, simply because they want to. Training with a clicker mentally stimulates your dog, helps to create a bond between your dog and you, and most dogs (and owners) love it! A Clicker is a mechanical device that makes a short ‘click’ sound when pressed. Once your dog has been trained to understand the meaning of the ‘click’, the clicker can be used in training to communicate when your dog has done the right thing. The click is always followed by a reward, which makes the clicker a kind and positive way to train your dog. The clicker is a very valuable and powerful training tool, and can be used in all sorts of training situations. It can also be used to help modify behaviour in behavioural cases. Clicker training is a science based method that uses Positive Reinforcement to teach dogs new behaviours. The click tells the dog when it has done the right thing at the precise moment he performs the correct action. The dog quickly develops a positive association with the ‘click’ sound, because it is always followed by a food treat. Therefore the dog is always being rewarded for doing the right thing rather than being positively punished for doing the wrong thing. If he doesn’t do it right, he simply doesn’t get a reward. Once you have mastered the art of clicker training, what you train your dog is limited only by what she/he can do – and your imagination! I can give you a practical introduction and supply you with the basic knowledge to get you started with clicker training your dog. Please contact me on 07747 397661 to arrange an appointment. Dogs Behaving Badly also runs Puppy and Beginners training courses in central Horsham . 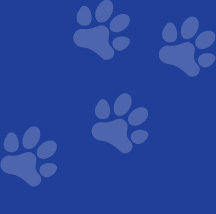 These courses use clicker training techniques to help you to train your dog in a fun and positive way.